It’s quite easy now a day to start your business. You can work as per your comfort. But having a Business Ideas is one of the tiny steps to move ahead. Here are a few of them. You can work for various publications like Upwork, Fiverr etc. These publications want you to work for them. You can take up projects and finish them on time. There are different types of work available under this like marketing, content writing, marketing etc. A food joint requires a small amount of investment. People always have those cravings for food. Food is a commodity that always has a market. It’s one of the great Business Ideas. Today, every occasion whether it is a wedding or official party are managed by the event organisers. It involves managing, having venues for the occasion, meeting sponsors, scheduling events. It requires small investment but great planning so as to attract sponsors. Education is an important service in which everyone has given emphasis on. Any educated person can work as a tutor and open a primary school for small children. This is a job that you can do from your home as well. Business Ideas like these requires an individual’s knowledge more than investment. Consultancy Services are getting a lot of attention these days. Everyone requires guidance these days in fields like marketing, banking, trading etc. People in this line have to be a little more informative about different fields. A little investment with a little bit of knowledge could be handy for you in this line. The number of vehicles is increasing day by day so as the drivers. Any person with knowledge about vehicles, driving techniques and traffic rules will be able to start this business. At first you can start training the trainees yourself and then in later, you can have a team to train people. Real Estate is a sector that has always been evergreen. People’s wants help of an advisor or real estate agent when they want to buy, sell or rent a property. A person who has a sound idea about the places or properties in the cities can start this business. They act as a moderator between the seller and the buyer. 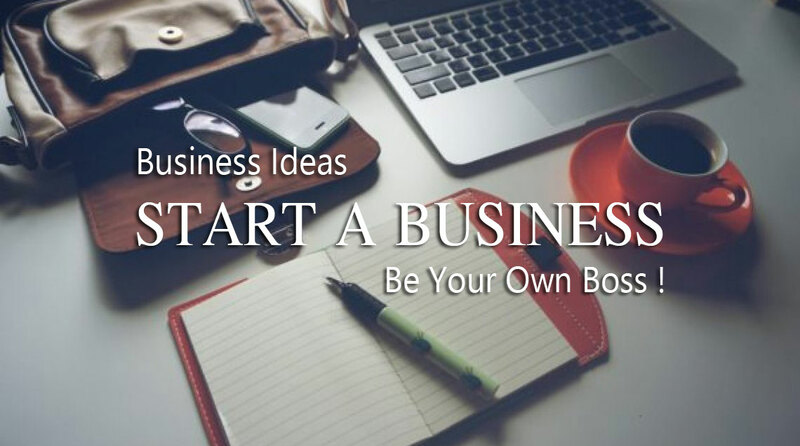 There are many Business Ideas that an individual can start with. What it needs is full dedication and hard work to make it a successful one.